Last week, striking teachers approved a contract between their union and Los Angeles Unified School District officials that will give instructors a 6 percent pay hike, additional staff support and, over a four-year period, smaller class sizes. As one LAUSD English teacher told CNN, “39,42, 50” students are “stuffed” into a single room. 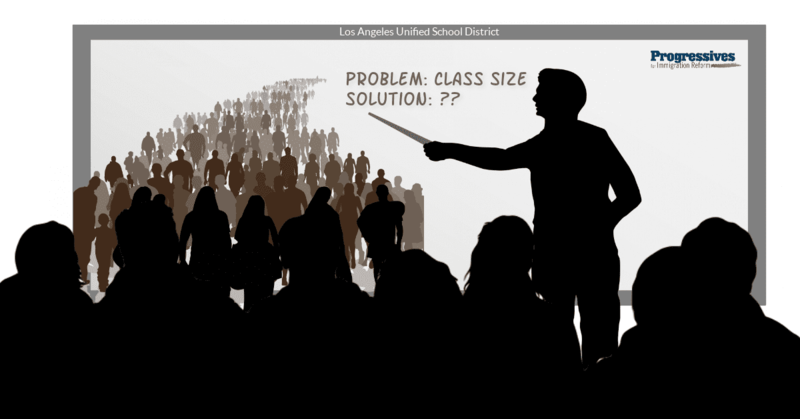 This entry was posted in Immigration Topics, Population Impact and tagged immigration affects class size, immigration impact on underserved students, los angeles teachers strike.